Finding out that you have food intolerances which require you to eliminate certain foods from your diet can be heart-breaking. Not least if pizza is as large a part of your diet as it is ours. It can be particularly challenging if your food intake was once based heavily upon pastas, noodles, breads and cereals and you find out you are intolerant to gluten. In most cases, enzyme tablets don’t relieve symptoms. Gluten-free recipes can be hard to get just right. They’re usually not as flavoursome as the gluten alternatives and provide less than memorable results. The good news is that it is becoming a lot easier to make gluten-free switches of almost everything, simply by substituting regular flour with gluten-free flour. This delicious recipe also takes under an hour to prepare, so is perfect for those days where the weather ends up being a lot nicer than expected, and you suddenly decide you want to power up the outdoor pizza oven to prepare dinner and enjoy the last of the rays. It also doesn’t require yeast, making it perfect for those who are after a yeast-free recipe too. 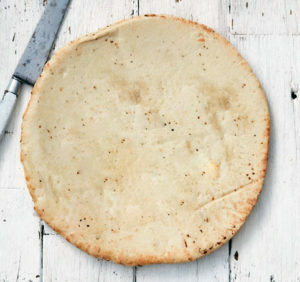 The following recipe will make two 12” round pizzas, so you can adjust accordingly if needed. Once made, just select your favourite toppings or take a look at our other recipes for more inspiration.